The way you view your Earthly Father is very likely the way you will view your Heavenly Father. And while I wish every single person in this world could experience a loving relationship with an earthly Father,and I know that this isn’t reality for a lot of people. But I do know that we have a Heavenly Father who heals, loves and cares for each of us, beyond what any earthly Father could. I use to be the person that was sure God was just standing beside me waiting to beat me the minute I messed up and if that had been the case I probably would not be alive right now. Y’all, that’s not who God is, and the minute I realized that several years ago, my entire was changed drastically. 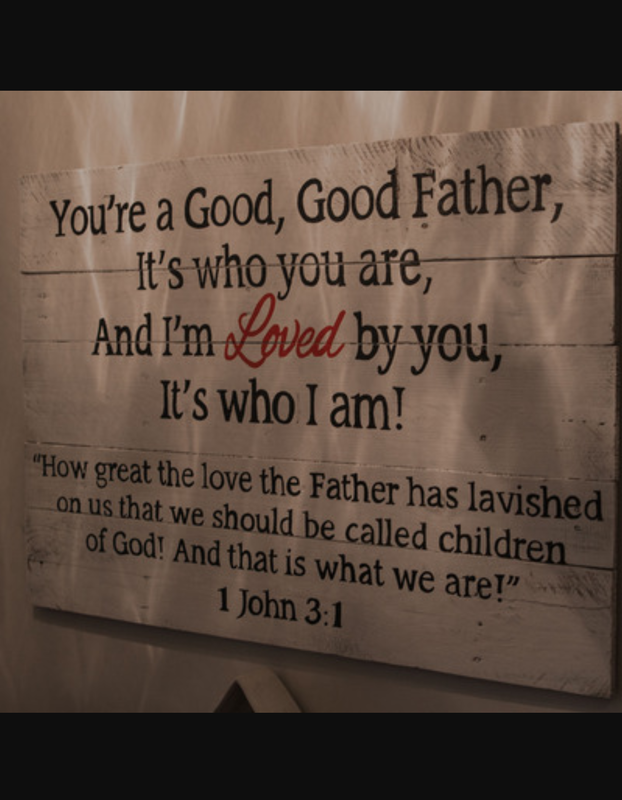 When I really understood the love that The Heavenly FATHER has for each one of us, I was overwhelmed and in tears before I knew what was happening. You see, God is just patiently waiting on each of us, to admit we need Him and may I just say, we all desperately need Him. When we realize what A Good Good Father He really is, our entire life and outlook will change. While I can’t change the circumstances between you and your Earthly Father that may have been very unpleasant. I can tell you, I feel your pain and you are not alone. I invite you to seek after God, ask Him to help you find freedom and forgiveness. He is a good good Father and He is earnestly longing to begin a relationship with you, that blows any earthly relationship out of the park. Until the next Inspiration hits..